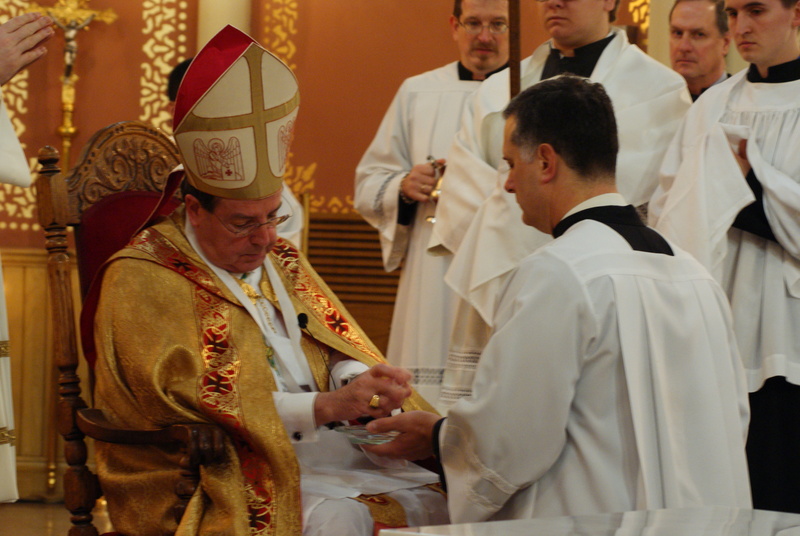 The candidates kneel while the bishop begins, “May the Holy Ghost come down upon you, and may the power of the Most High keep you from sin.” With his hands extended over the candidates, he says a prayer invoking the Seven Gifts of the Holy Ghost. 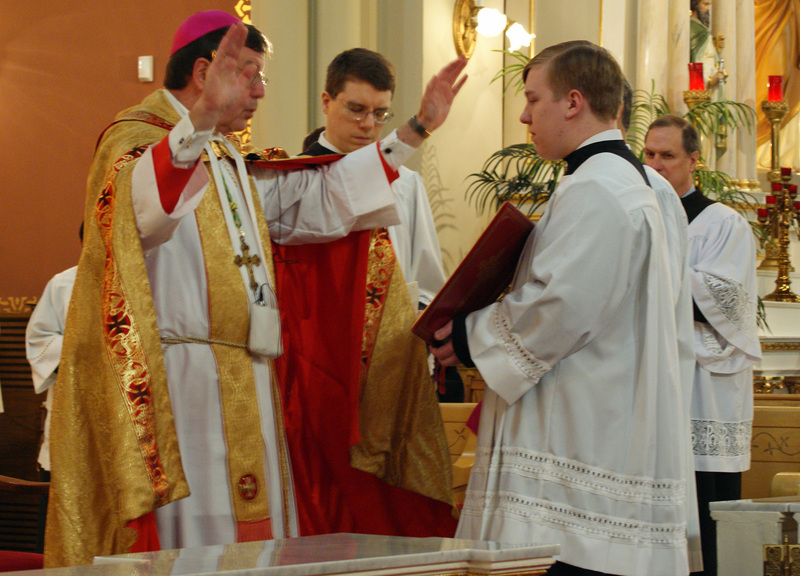 Each pair of sponsor and candidate comes forth; the candidate kneels before the bishop, and the sponsor places his or her right hand on the candidate’s right shoulder. 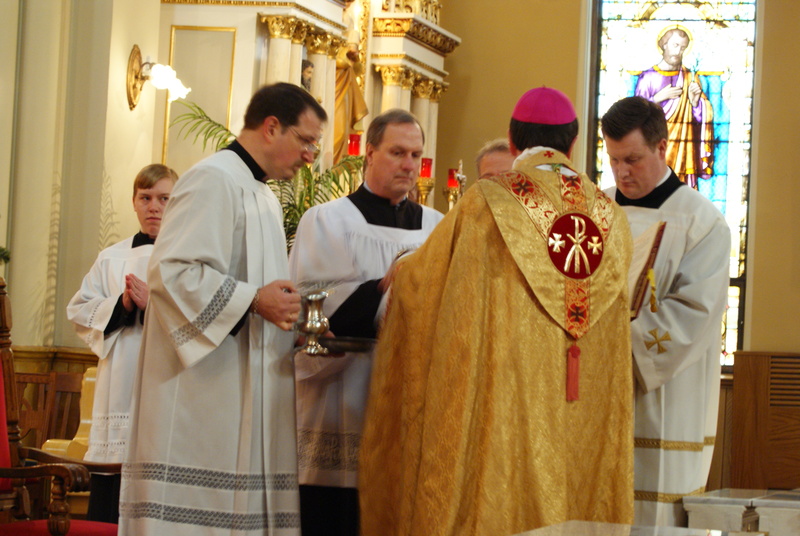 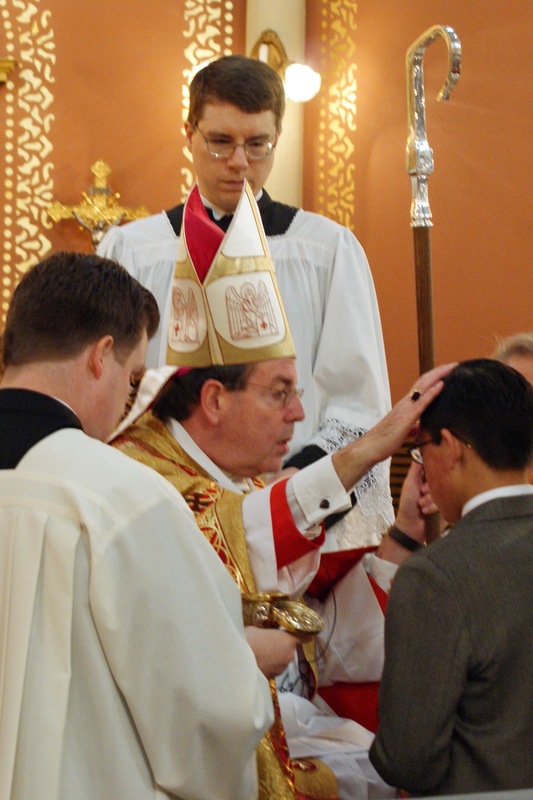 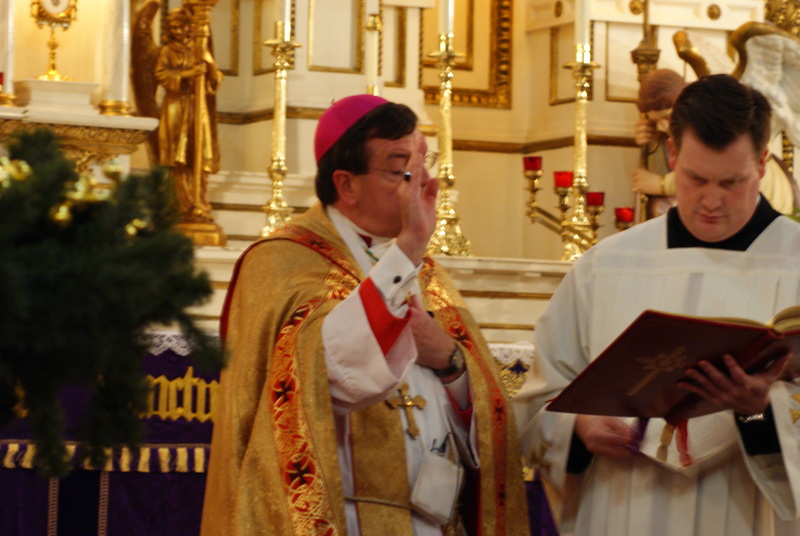 The bishop lightly strikes the confirmed upon the cheek, saying: “Pax tecum” (Peace be with you).